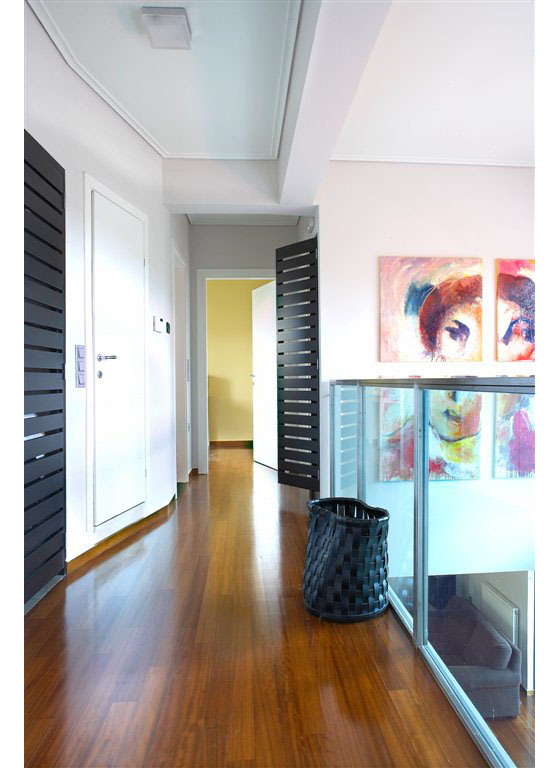 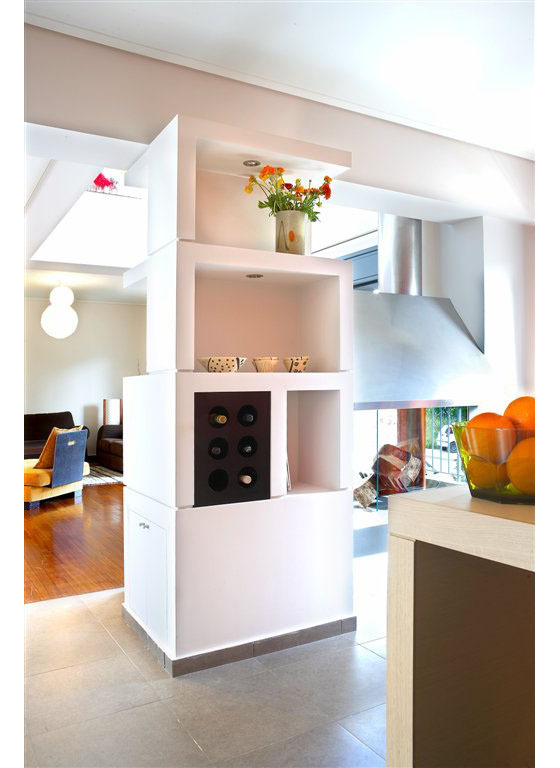 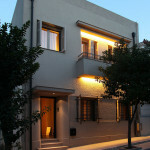 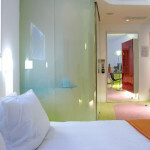 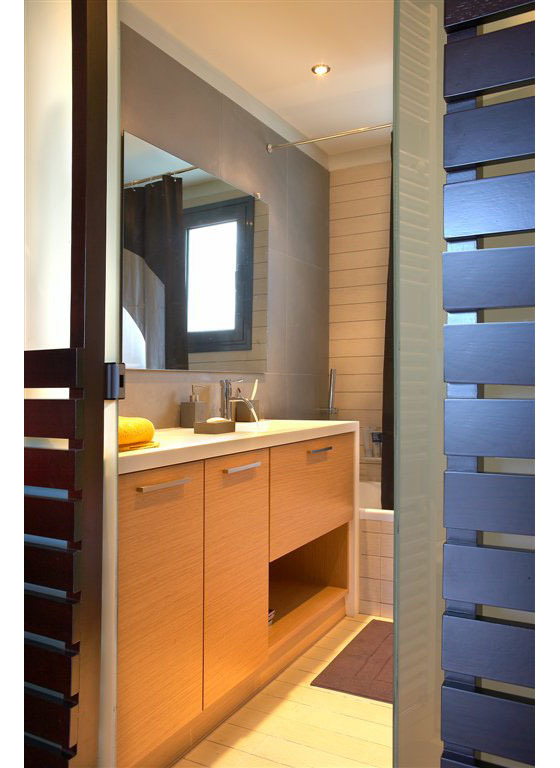 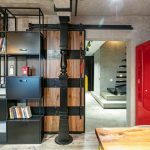 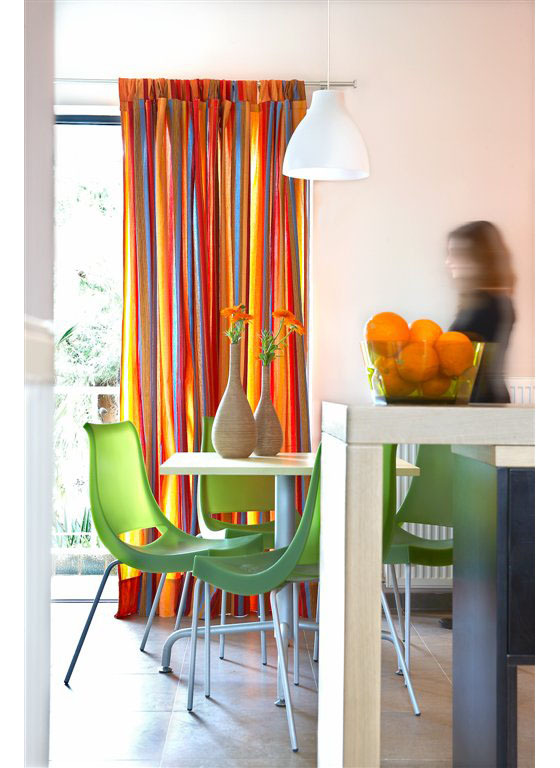 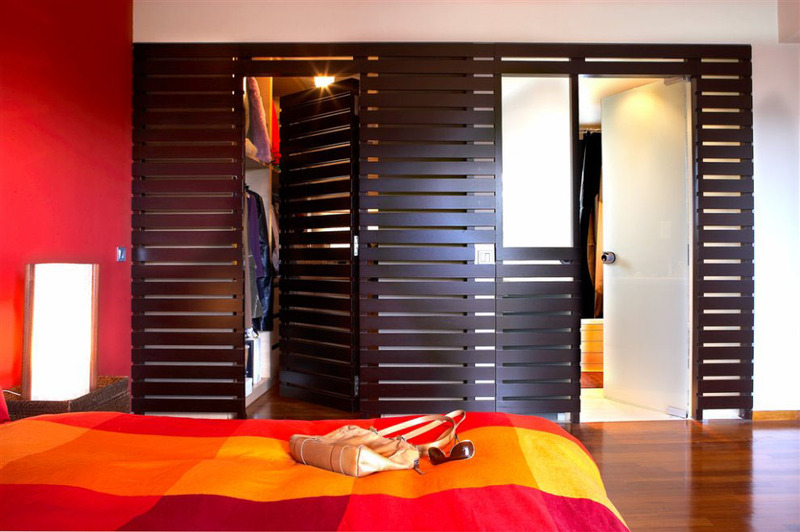 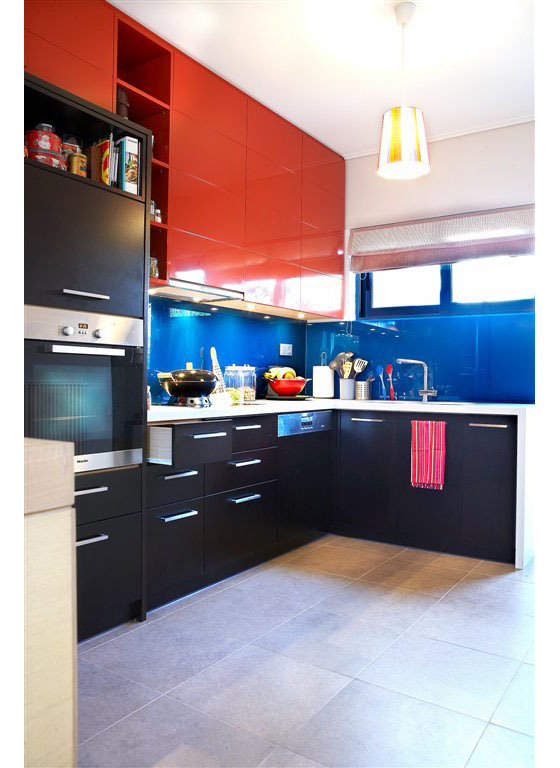 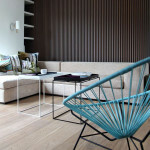 This modern duplex apartment in Chalandri in the suburb of Athens, Greece was renovated and designed by ss.mm design. 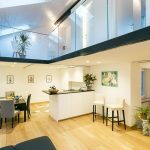 The apartment has a dramatic high ceiling in the central living area, and the bright and colourful interior decor blends well with its modern design. 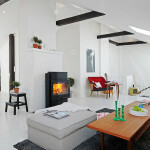 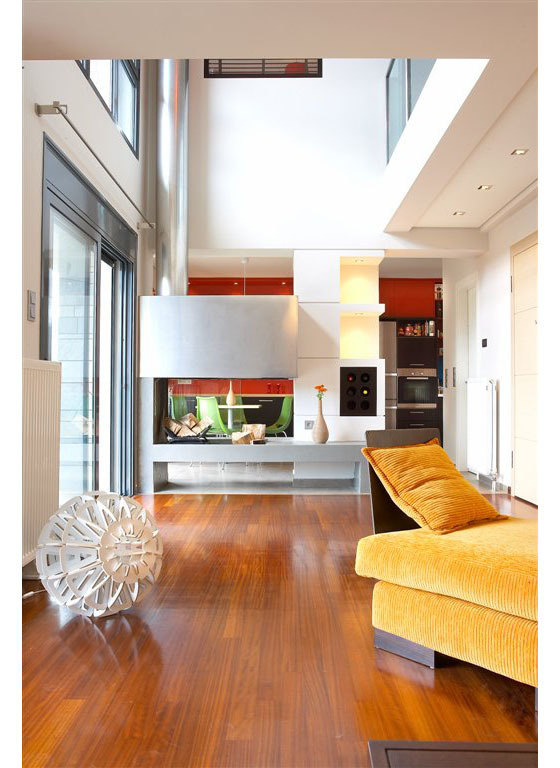 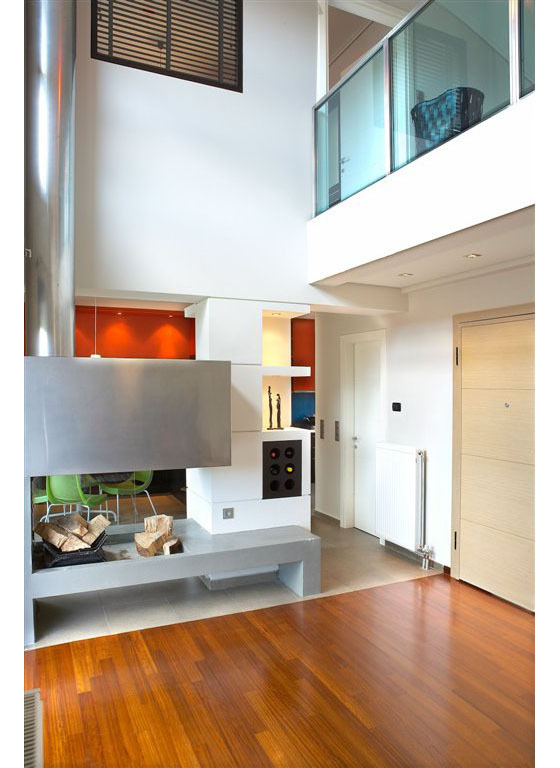 The steel fireplace, wood flooring and use of glass set the design tone for the whole apartment space.